The Fundamentals of Light Managment for your home. “Both the presence and absence of light (darkness) have a biological effect on our bodies. Things happen because of light. Humans, as well as animals are programmed to respond to light. Ideally, as light increases, our brains begin to naturally increase the production of the hormone cortisol, thereby increasing alertness. As light decreases, such as in the evening, the brain naturally begins to increase the production of the hormone melatonin, and we become more restful,” says O’Mara. To capitalize on the natural effects of light in your home, O’Mara suggests using full spectrum lighting. Full spectrum lighting incorporates a hard presence of blue light and acts as an imitation of sunlight, stimulating the eyes and therefore the brain. The sun is the purest form of full spectrum lighting, with obvious effects and bene­fits. O’ Mara suggests using this type of light in the morning and during the day to maximize alertness. In the evening he suggests using a softer, yellowtype of LED light that mimics the light omitted from a campfire, gas light or candle. The most effective strategy is to haveboth types of lighting in a single area, designated by different switches. 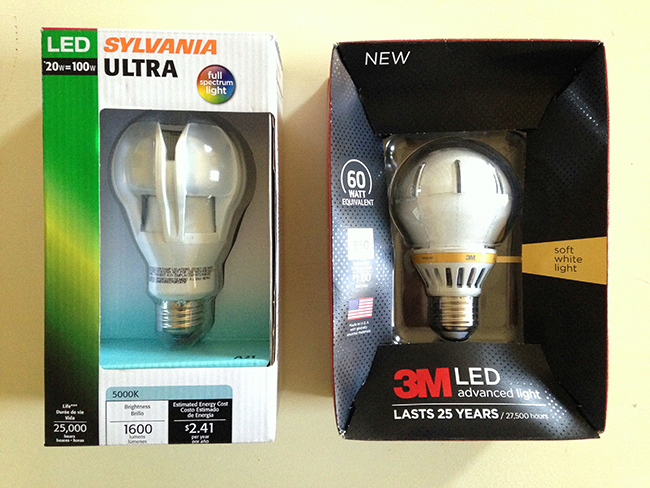 Full spectrum light bulbs and LED lighting such as these can be found at local area home stores. Balancing light in the home can lead to better sleep and overall health.